Blog post written by Ryan Heath, Product Manager at AppsAnywhere. AppsAnywhere – Parallels and Software2 are excited to announce the official release of AppsAnywhere v2.3. 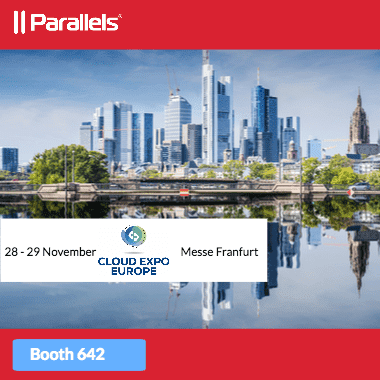 The latest update introduces the launch of our long-awaited partnership with Parallels Remote Application Server (RAS), amongst some other key features. AppsAnywhere is designed to give any student access to all their universities software, in a flexible way that doesn’t tie university IT to a particular application delivery technology. University IT often find deploying Windows apps to non-Windows devices a costly affair. Thanks to Parallels Remote Application Server, students can get their Windows apps on whichever device they need to use, including macOS, Android, and iOS. This new integration also means that for the first time AppsAnywhere now fully supports Chromebooks. By combining the Parallels RAS solution with the power of AppsAnywhere’ s highly contextualized delivery methods, universities and colleges can now support all these devices at a fraction of the cost of traditional VDI solutions. 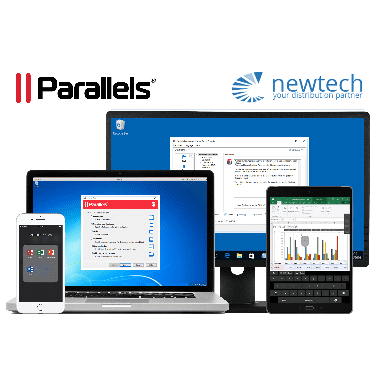 Parallels RAS is a remote application and virtual desktop solution. By allowing software applications to run on a remote Windows server, we can deliver apps through Apps Anywhere using either the local Parallels client (available for both Windows and macOS) or the HTML5 client, which can deliver apps to any device running an HTML5-compatible browser. This truly allows AppsAnywhere to offer any Windows app to any device – including iOS, macOS, Android and Chromebooks! AppsAnywhere’s goal has always been to provide our customers with a tool to unify all the delivery methods they want to use (Software2 calls it Unified Application Delivery); all their software available in just one place. Issues associated with running legacy apps are now in the past, and with Parallels, our customers can provide any Windows app to anyone in their university or college in a secure context, without the need for six-figure IT investment. To support our growing international community of users, Apps Anywhere can now be translated into any language. It’s simple enough for your own team to do and Software2 is shipping this version with a number of languages included. Students can choose their own language in the newly-created ‘Preferences’ section, and it’ll be remembered each time the login to AppsAnywhere. To help new users get up and running with AppsAnywhere, Software2 has added a welcome tour. This new tour can be replayed at any time by visiting the preferences section, and can also be disabled for those who already know exactly what they’re doing! They have integrated S2Library with AppsAnywhere, to bring you our central repository of community resources. In this version we’re bringing in our collection of high-quality app icons, allowing admins to quickly search for and find an icon for their app without needing to leave the admin panel. And with a bank of high-resolution icons (which is being added to all the time), your students and staff will love the look of their AppsAnywhere portal. To learn more about AppsAnywhere and Software2 please click here. ABOUT THE AUTHOR. As product manager for AppsAnywhere, Ryan works tirelessly to revolutionize the student experience and meet the “any application, any device, anywhere” needs of the modern day student. He works closely with Software2’s customers to understand their exact needs and build them into our product.